AAIS was proud to be a supporting partner of the Additive Manufacturing (AM) workshop organised jointly by the European Aviation Safety Agency (EASA) and Civil Aviation Authority of Singapore (CAAS) from 15 to 16 October 2018. 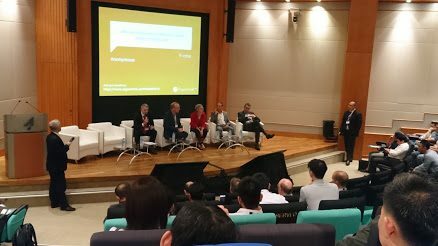 Participants enjoyed two great days of learning from industry experts and aviation regulators at the event, held at the Singapore Aviation Academy. During the programme, industry counterparts from Europe shared about their careful, step-wise progress towards understanding the critical parameters of AM processes, developing process controls, and the rigorous testing of AM parts. Singapore companies, in turn, shared their efforts and progress made towards developing AM capabilities. The regulators spoke about the regulatory framework and journey towards understanding the best approaches toward regulation. All were united in sharing knowledge for the sake of furthering aviation safety.